Tasty Appetizing Fried Grilled Shrimps With Spices On Black Pan. View From Above With Copy Space. Lizenzfreie Fotos, Bilder Und Stock Fotografie. Image 114631433. Standard-Bild - Tasty appetizing fried grilled shrimps with spices on black pan. View from above with copy space. 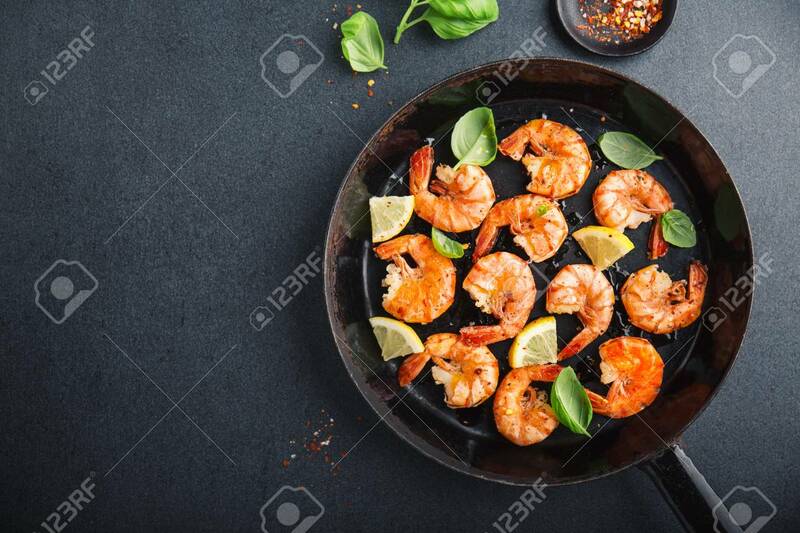 Tasty appetizing fried grilled shrimps with spices on black pan. View from above with copy space.